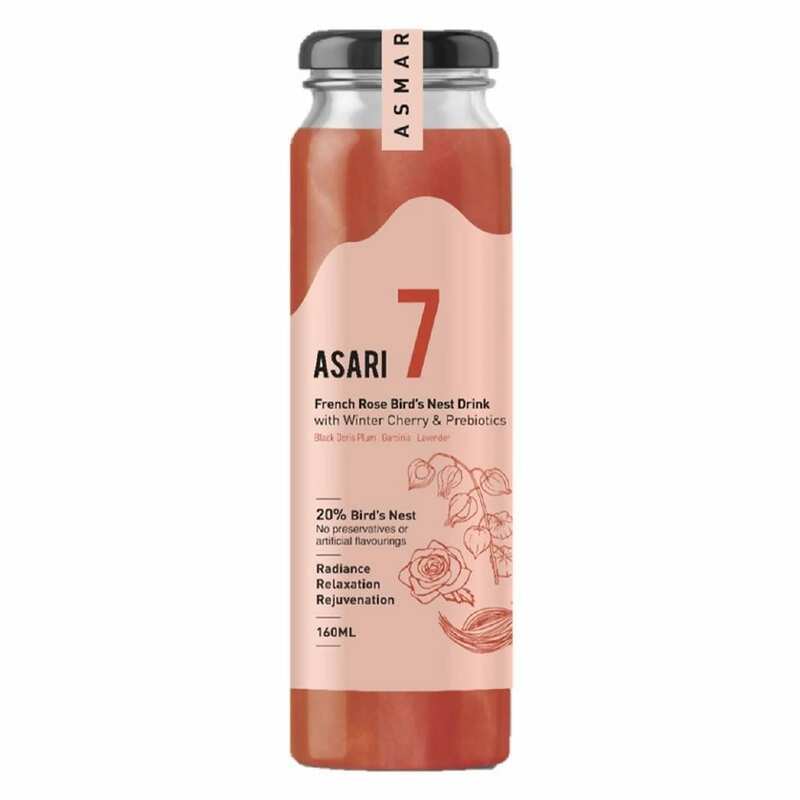 Asari 7 contains a blend of seven functional ingredients. 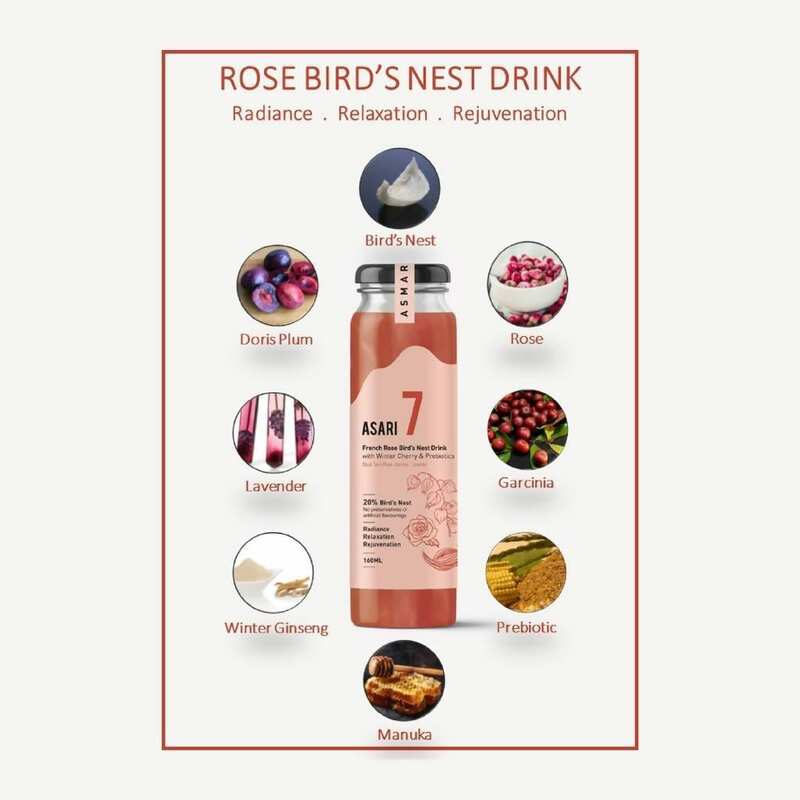 The beverage contains premium Indonesian house bird’s nest concentrate (20-30%). 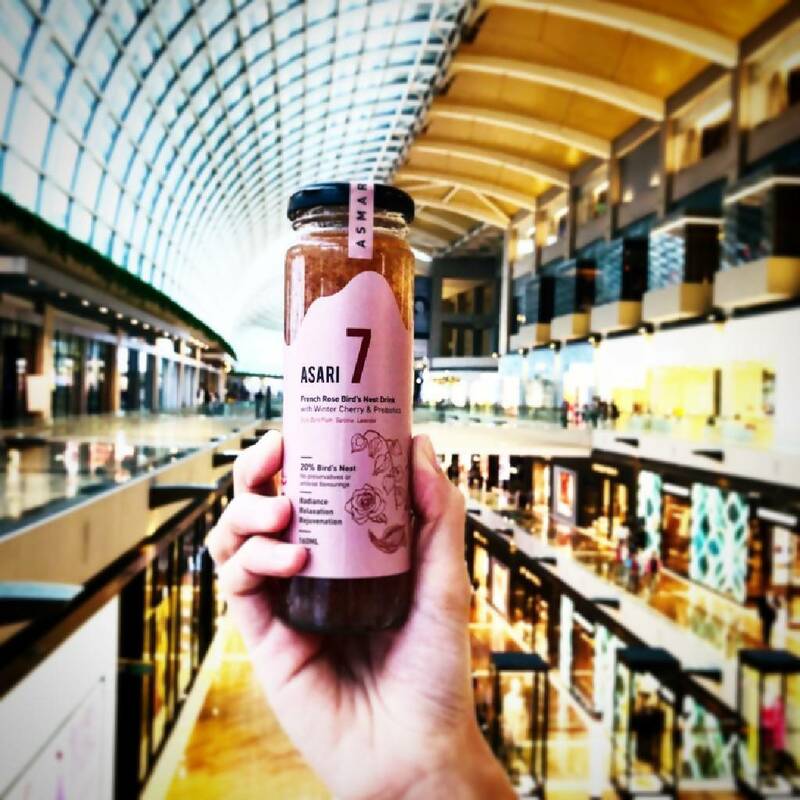 The bird’s nest is infused with black doris plum, garcinia indica (mangosteen family), and French rose. 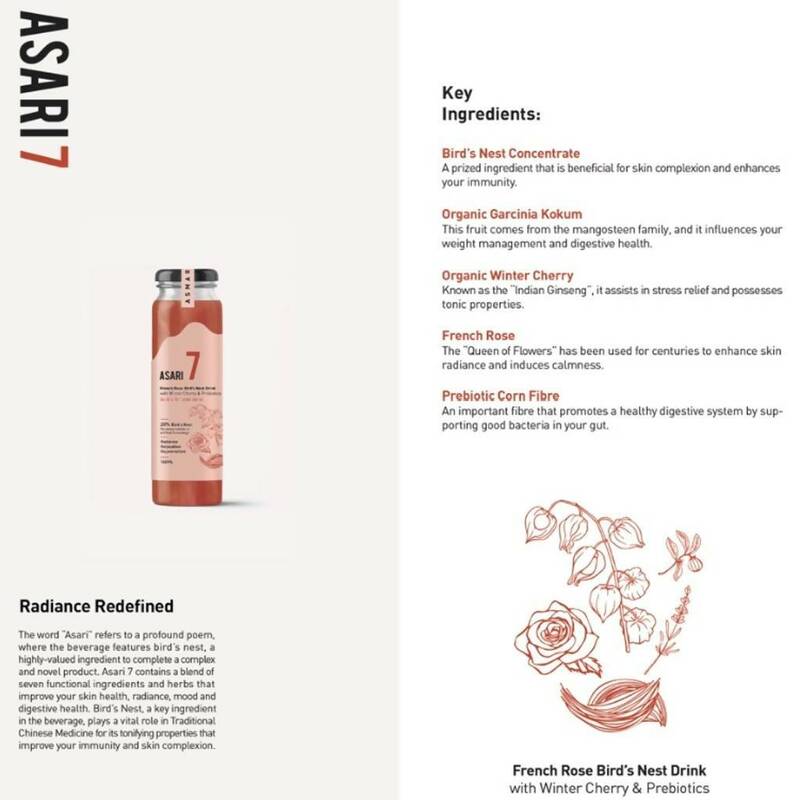 These ingredients and herbs are known to potentially improve skin health, radiance, and mood. 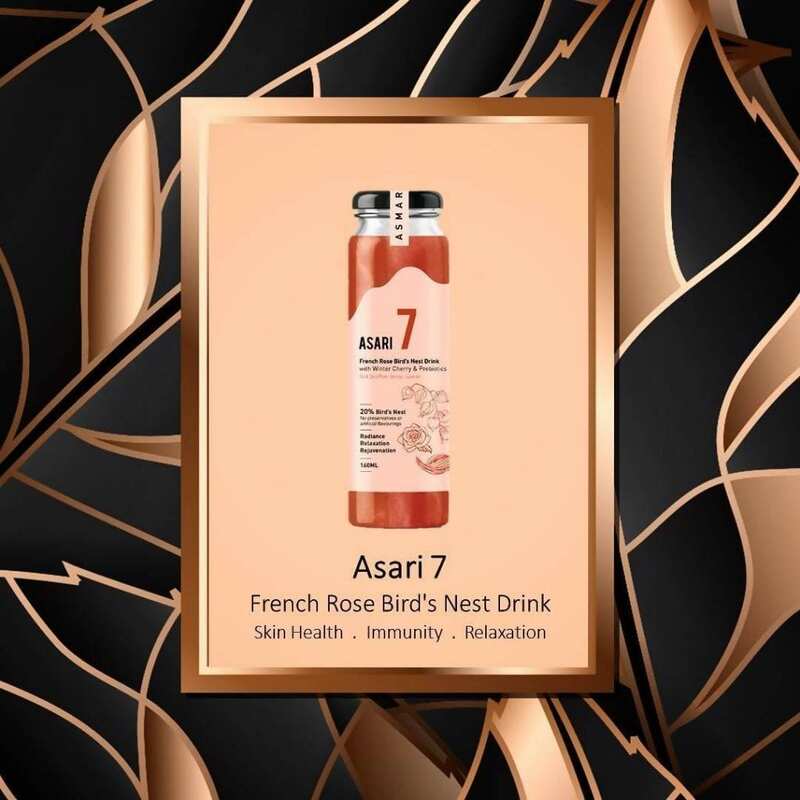 Bird’s Nest is highly valued in Traditional Chinese Medicine for its tonifying properties and traditionally used to improve immunity and skin complexion. Prebiotics are scientifically proven to promote a healthy digestive system by supporting the growth of good bacteria in your gut. 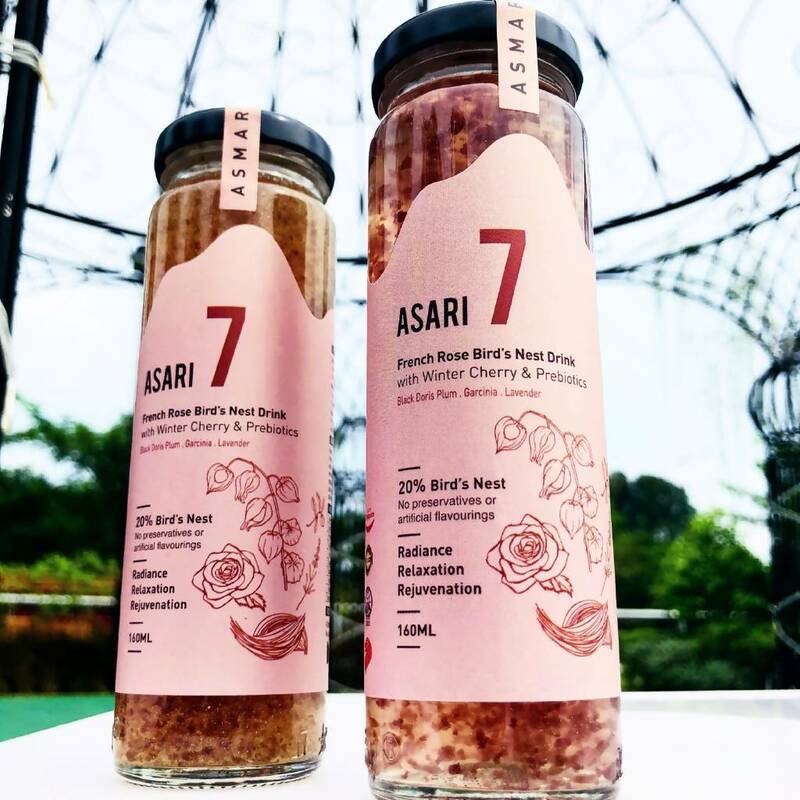 Ingredients: New Zealand black doris plum, premium bird’s nest concentrate, organic garcinia indica extract, organic winter cherry ginseng, organic French rose petal, rose water, organic French lavender flower, crystallized honey sugar, corn prebiotic fibre, manuka honey UMF5+, natural gum & permitted edible gold.